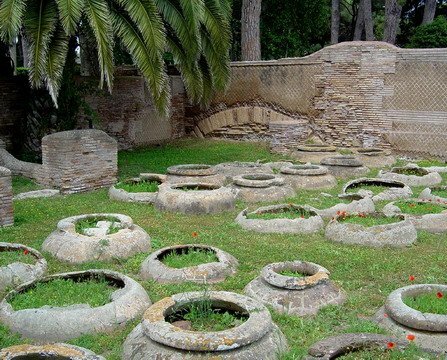 Ancient Ostia is a large archeological site, close to the modern suburb of Ostia, that is the location of the harbour city of ancient Rome, 15 miles (25 kilometers) southwest of Rome. 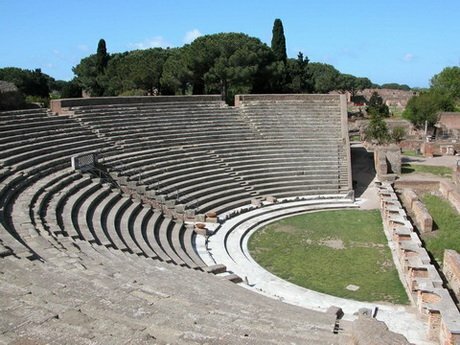 “Ostia” (plural of “ostium”) is a derivation of “os”, the Latin word for “mouth”. 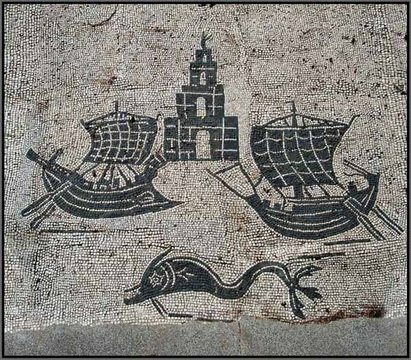 At the mouth of the River Tiber, Ostia was Rome’s seaport, but due to silting the site now lies 3 kilometres (2 miles) from the sea. 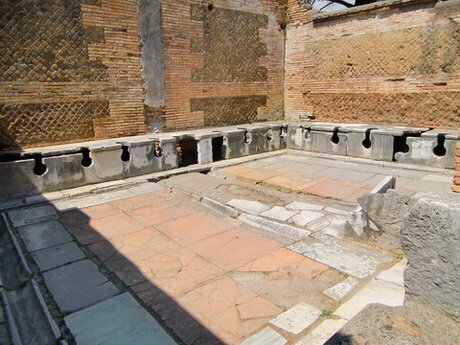 The site is noted for the excellent preservation of its ancient buildings, magnificent frescoes and impressive mosaics. 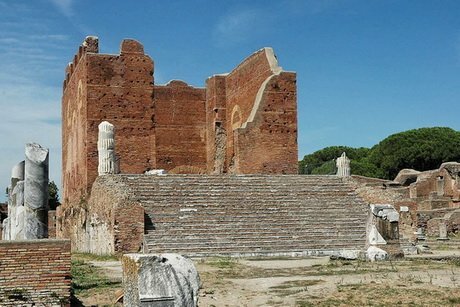 Near the entrance of the archaeological area of Ancient Ostia there is the Castle built by Pope Julius II in the year 1483, one of the first examples of military architecture. 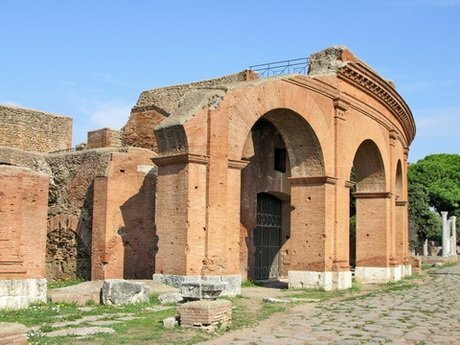 We enter from the Via Ostiense and going through the Roman Gate, we will find the great Square of the Victory, the beginning of the Decumanus Maximus, the main street, which is longer than a kilometre, that drove to the sea. 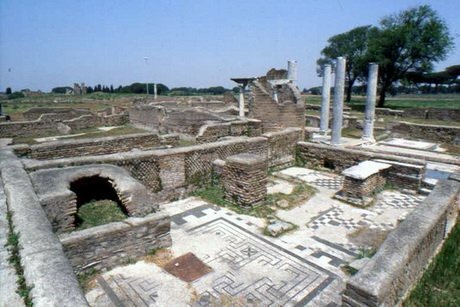 Immediately to the right there are the Republican Stores, the Thermal baths of Neptune with the vast gym and mosaics, representing the sea. 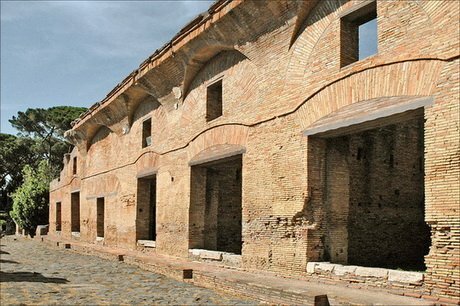 Passing through the Piazzale delle Corporazioni we reach the Theatre, quite well preserved, erected during the reign of Augustus having a capacity of 3000 spectators. 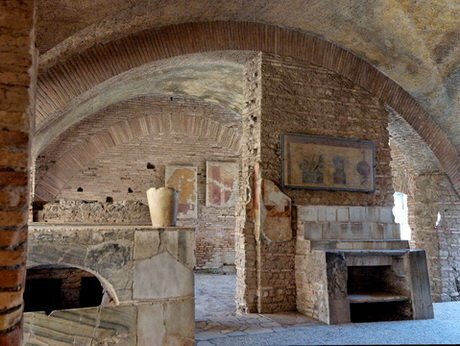 We take the Street of Diana with its balconies, and its Thermopolium, old restaurant of the roman period. 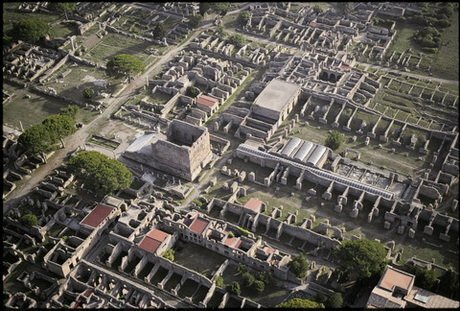 Not very far from there is the Capitolium, the centre of the city. The tour can be modified and adapted to every demand.